Great behavior shot, Doris! You have to feel sorry for the vireo! She's probably thinking what the heck happened here! Thanks Gerry. Yes, I'm sure she is somewhat puzzled by it all! Thanks Barbara. 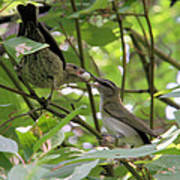 Yes, and I felt sorry for the Vireo being run ragged by this demanding youngster. 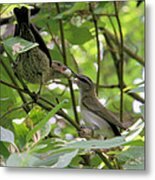 Wow pretty birds love the one on right !!! Me too. 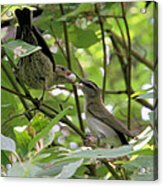 It is a sleek and dainty little bird. 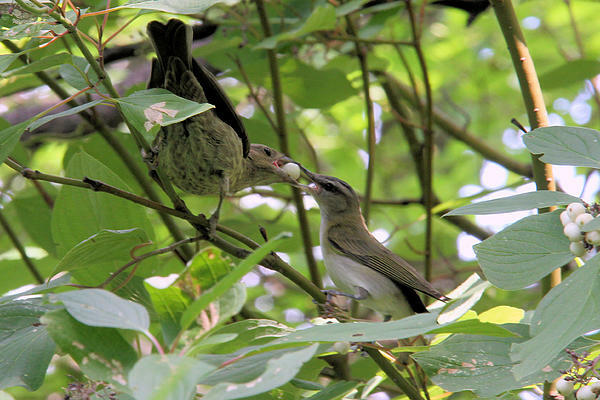 Here is another shot of the "parent" Vireo feeding the young Cowbird a berry. See details in adjacent photo.